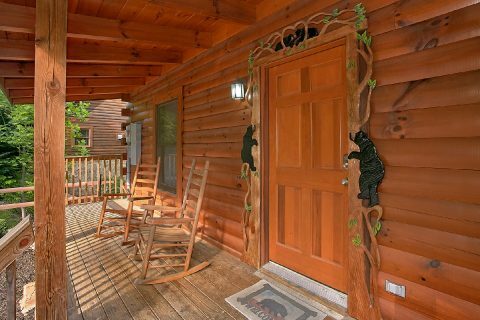 Plan for a great Smoky Mountain vacation when you stay at "Moonshine Inn," a 3 bedroom cabin in Gatlinburg, TN! 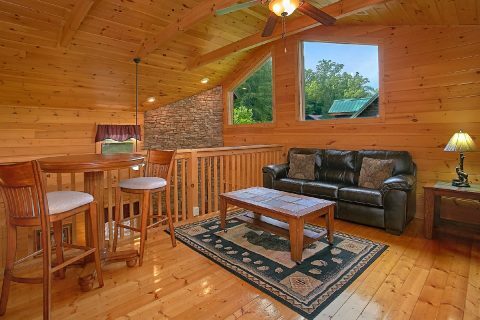 This affordable cabin sleeps up to 8 guests and boasts a prime location near top local attractions. 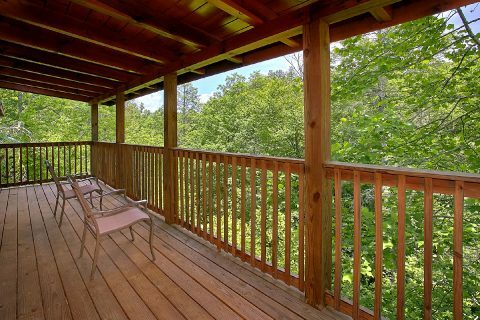 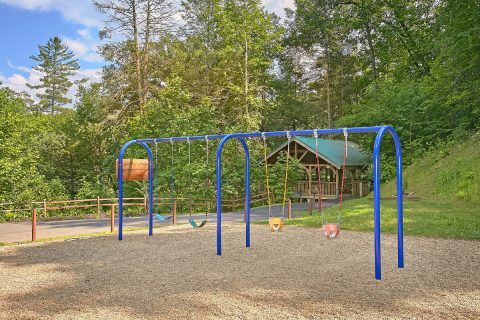 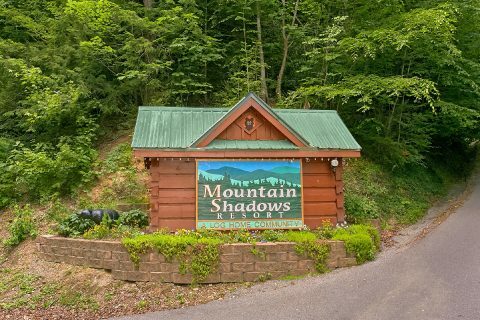 Since this cabin is located just a short drive from the East Parkway, guests at this cabin can reach Downtown Gatlinburg and the Great Smoky Mountains National Park with only a 10-minute drive. 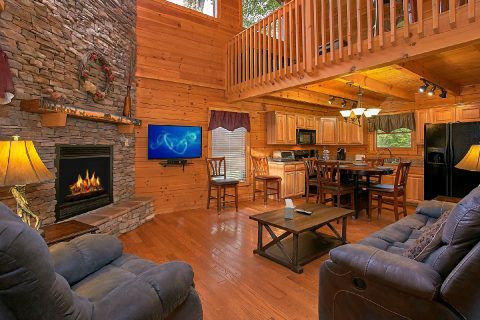 Whether you want to go skiing at Ober Gatlinburg, hike trails in the national park, or explore sea life at Ripley's Aquarium of the Smokies, this rental keeps you close to the best things to do in the Smokies. Additionally, Gatlinburg's historic crafts district on Glades road is only a short drive from this cabin. 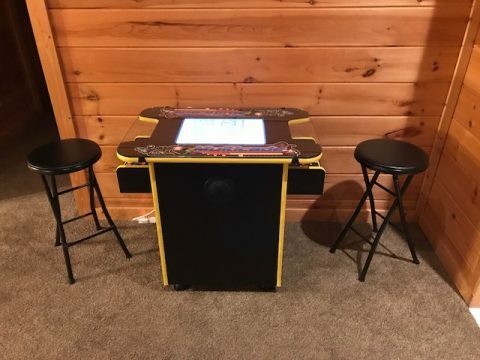 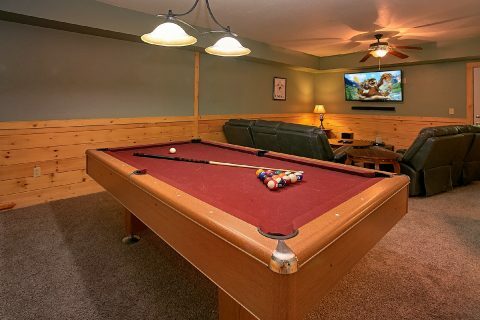 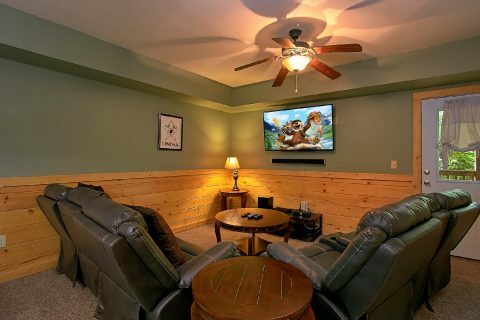 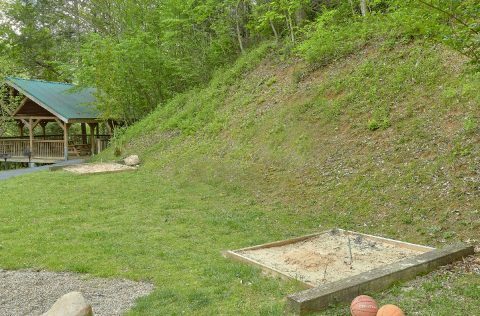 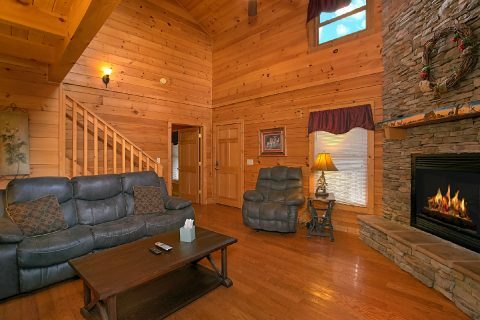 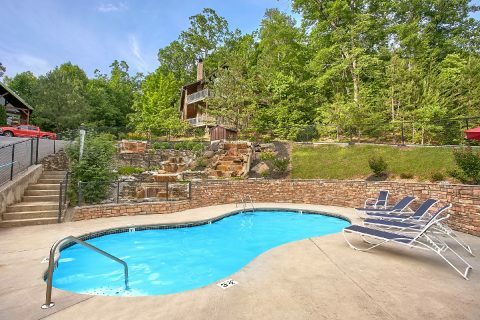 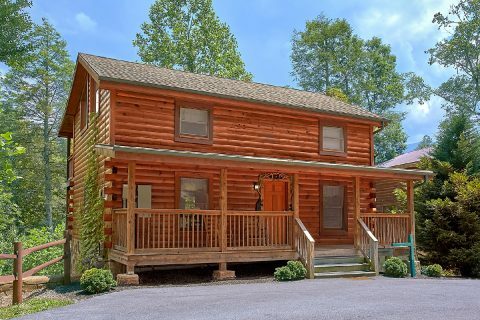 When you aren’t busy exploring the best the Smoky Mountains can offer, you can enjoy relaxing at this log cabin with a game room, hot tub, and a comfortable living area with a flat-screen television and a gas fireplace. 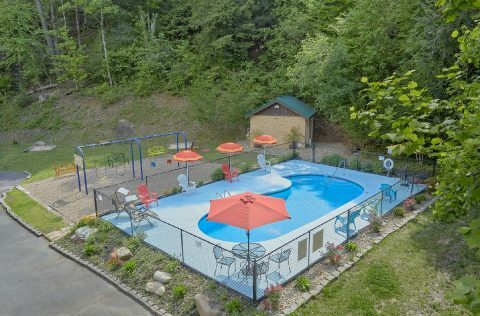 Additionally, guests can take a swim at their cabin's resort swimming pool! 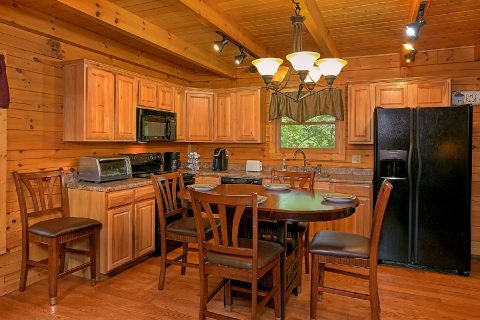 This rental also comes with convenient features like WiFi Internet, a washer/dryer, a full kitchen, and a dining table with seating for up to 8 guests. 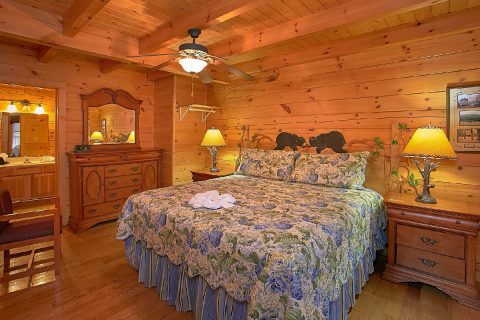 For staying well rested on your trip, you can look forward to staying in one of Moonshine Inn's 3 bedrooms. 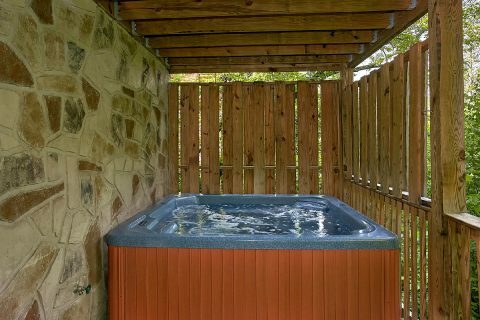 On the main level, you'll find a king-size bed with a full bath. 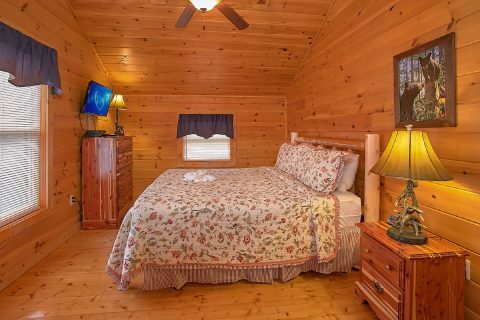 The upstairs level features a king-size bed and private television, while the lower level of this cabin features another bedroom with a queen bed and full bathroom. 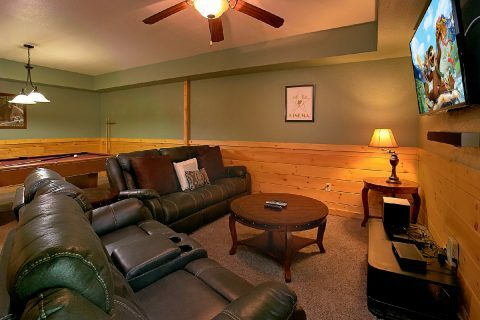 Additionally, this cabin provides a sleeper sofa for extra guests. 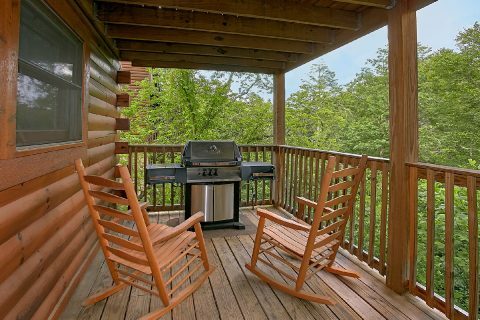 Book your cabin online with Cabins USA to earn a 15% discount on your stay in the Great Smoky Mountains of Tennessee!